Monterey Estates is a beautiful residential community located in Delray Beach, Palm Beach County, Florida. Monterey Estates is comprised of one or two story single family homes with a minimum of four bedroom floor plans. 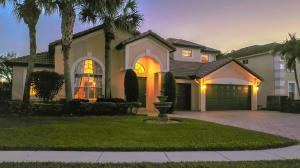 Many of the homes are surrounded with lush tropical landscaping and feature enclosed garages, swimming pool, patio, balcony, gourmet kitchens, stainless steel appliances, hardwood flooring, marble baths, Roman tubs, split bedroom floor plan, high ceilings, walk in closets, crown molding, and lake views. The homes are Mediterranean style and near A rated school, restaurants, shops, golf, and much more. Monterey Estates in Delray Beach is really a wonderful location. The Delray Beach location is amazing. But, if this isn't the community for you, you might like one of the other local communities like Astor Condo or Bexley Park or Boca Delray that are located here as well.